PHILADELPHIA, PA (Laserfiche) March 31, 2009—Laserfiche® today announced that it will present Laserfiche Rio™, a complete enterprise content management (ECM) solution at this year’s Association for Information and Image Management (AIIM) conference to be held at the Pennsylvania Convention Center March 31-April 2. Laserfiche representatives will demonstrate (booth #701) Rio, a fully scalable ECM system that is straightforward to deploy, easy to purchase, extend, and most importantly addresses the issues of managing an intensive information workplace. 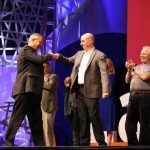 They will also be presenting the Laserfiche-SharePoint® integration, which maximizes the strengths of both systems; while SharePoint adds collaboration portal functionality to Microsoft Office, Laserfiche provides best-in-class document imaging and content management. Additionally, Laserfiche Records Management Edition, which automates capture, classification and life cycle management with DoD-certified records management functionality, will be presented to give participants a look at its capabilities. “Laserfiche’s electronic document management solution has become the centerpiece for York County’s technology initiative for improving operations in all departments, including the clerk’s office,” said Mary Jane McCluskey, County of York, PA Information Services Department Project Administrator. McCluskey will be highlighting her involvement in developing a county-wide enterprise solution using Laserfiche on April 1 at 1:45 p.m (in DOCO7, room 113A). The “Enterprise Government Case Study: York County, Pennsylvania” regarding the county’s technology project will be introduced at AIIM. Laserfiche creates simple and elegant enterprise content management solutions that help organizations run smarter. Laserfiche® offers a suite of products and services that address enterprise-wide challenges from the perspective of executives, records managers, IT staff members, and end-users. 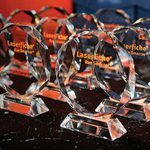 Since 1987, more than 25,000 organizations—including government offices, Fortune 1000 companies, healthcare and financial organizations, and non-profits—have used Laserfiche software to meet these challenges, improve productivity, and enhance data security. By digitizing paper archives, Laserfiche enables users to instantly pinpoint the information they need. Secure Web access allows firms to share information with remote offices, business partners and clients, while comprehensive security options ensure compliance with government- and industry-mandated standards.